Creation at the Crossroads is a collaboration between RENEW International, GreenFaith, and Catholic Climate Covenant. They aim to share faith related resources for small-groups that respond to Pope Francis’ call to action in his encyclical Laudato Si’. To read more on Creation at the Crossroads, click here. 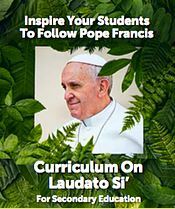 Laudato Si’ in Spoken Word is a poem video of Pope Francis’s teaching on the environment. It is meant to convey the essence of the Pope’s encyclical in a multimedia representation. It also includes a discussion guide to accompany the video. To watch the video or download the discussion guide, click here. The Green Churches Network has created discussion question on Laudato Si’. The document highlights questions raised by Pope Francis from the encyclical and cites the page number they come from. To read the entire list of discussion questions, click here. 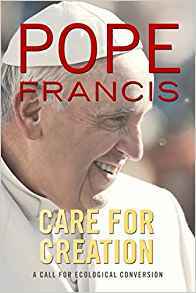 The Green Churches Network has pulled out important quotes from Laudato Si’ that they feel highlight the main message of the encyclical and created a resource to share them. To read or download the entire resource, click here. 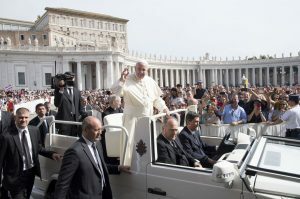 Environmental leaders, activists and advocates gathered with Pope Francis for a two-day Vatican-organized conference with hopes to emerge with a shared vision for protecting our planet. 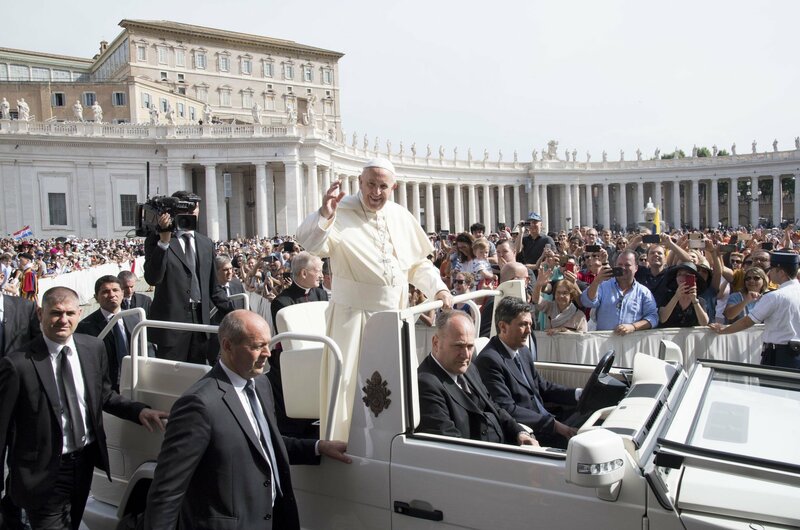 The conference was inspired by the third anniversary of the Pope’s encyclical and was attended by political and religious leaders, scientists, economists and heads of civil society organizations. Inspired by the call for unity and action in the encyclical, UN Environment also introduced their Interfaith Rain-forest Initiative at the conference. To read more about the conference, click here. This reflection on Laudato Si’ is a resource from Ecospirituality. It highlights important quotes and offers additional resources related to creation care. To read more or download this reflection, click here. The Carmelite NGO has created new curriculum on Laudato Si’: Laudato Si’ Can Change the World. It is meant for grades 9-12 and also includes an adult study guide meant for study groups or college classes. To read more or download the curriculum, click here.